BMW has fixed less than half of the 253,988 cars affected by the EGR cooler recall in the UK. The German carmaker issued a global recall for 1.6 million diesel cars in late-2018, after it discovered a potential leak in the exhaust gas recirculation (EGR) valve cooler. The issue affects more than a quarter of a million diesel BMWs in the UK, but a parts shortage has caused long delays with some owners waiting up to eight weeks for the vital repairs. 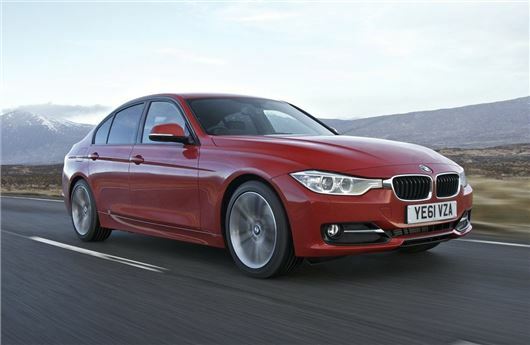 BMW has told HonestJohn.co.uk it is aware of the problem and 38 per cent of affected models have been fixed. The EGR cooler recall affects almost every diesel model in the BMW range that was built from March 2011 to August 2016. Recalled cars will have the EGR cooler inspected and replaced free of charge if leaks and excessive build-up of deposits are found. “We are working to complete this as quickly as possible, but due to the size of the recall we face significant challenges in terms of parts supply and workshop capacity,” said a BMW spokesperson. “Where customers have experienced longer delays we have sought to minimise any inconvenience as best we can, including the provision of several thousand courtesy cars to keep customers mobile. BMW says it has a dedicated recall team both within its customer contact centre and also with its emergency roadside service. Both teams are able to help with any customers that have received a recall letter or are experiencing EGR problems. They’ll also be able to confirm if a vehicle is subject to the recall or not. Owners who are concerned about the safety of their vehicle are urged to contact their local BMW approved dealer. Honestly individual and fleet customers need to vote with their feet and walk away from BMW as a brand. This is appalling. Some people have been waiting nearly 4 months for a recall repair. Audi and Mercedes can take the business in future. IMHO, I hardly think the likes of VAG and Mercedes are any better in that respect: their cars have probably more reliability issues (especially VAGs) - Dieselgate related, the 1.5TSi kangerooing, the chain cam issues, autonomous braking problems, Merc cars crabbing that can't be fixed, etc, etc. As long as people wrongly see these manufacturers products as being prestige reliable ones things won’t change. With fleet buyers getting good discounts and good resale values this myth will perpetuate. Car has this problem (X3 3.0L D) and we called BMW Liverpool on the day we received the recall letter. Told they were inundated but they would call us back. They never did. Finally on chasing we have been told today that there are no parts in the country but we could have a slot on 5-Aug. Which is terrible. We have noticed a diesel smell from the car and we raised that with them. They told us that if it happened again, they would take the car in and provide a hire car - not the same make and model - and we’d have to use that UNTIL AUGUST ! Absolutely terrible service. Would be good to understand what action could be taken as a group against BMW to solve this sooner. My car has this recall. When I called my local bmw garage I was told the part was on back order and they would add me to the list. Two weeks later I got a call to say the part was in, took my car in only to be told that my car needed the part but they didn’t have the part and I wouldn’t be getting my car back! I know point was I advised that they didn’t have the part or that I wouldn’t get my car back. Two weeks later I am still driving around in a courtsey car with a weekly text from the garage to say “awaiting part, have a nice weekend!” Thanks I’ll just keep doing my 70 mile a day journey in your car :-) my car also has its MOT due at the end of April which without it will invalidate my insurance they have said they will do it for £54 but I usually pay £25 at my local garage. My 220d has been in the Huddersfield Sandal branch for just over two weeks. Booked it in for a service and the recall to which no parts for the recall. They have provided me with a courtesy car which is equally as nice as my own but the communication is lacking. I'm more than happy to keep using a courtesy car given the potential severity of the problem and I know this is a bigger problem than BMW thought it would be but the communication from the branches is the main issue here! a call, text or email wouldn't go amiss just to say we're still waiting etc. I'm in the same boat as the last post where my car is due for an MOT at the end of the month and I'll be making sure BMW put it though at their cost.